Pen a letter about how you feel and put it in one of the drop boxes that Lonepack has kept at Marina Beach & Sathyam Cinemas. CHENNAI: I Inspiration often comes from the most ironic sources — fictional films, memes or in this case, letters from strangers. LonePack, a non-profit organisation has started a LonePack letters campaign and have already collected over 2,400 letters. Every depressed soul or an anxious mind need only pick an envelope on March 10, 11 and 12 for the little spirit of joy. Enlightening us about their initiative and the Lone- Pack mission are the young founders, Samiya Nasim (21), Naveen H (22) and Siddhaarth S (22). Says Samiya, “This campaign would help start a conversation about mental health. If a letter from a complete stranger can bring a smile then there is power to make your inner circle of relationships smile during tough times.” Thus began the process of collecting kind words from people. LonePack joined hands with educational institutes like the DAV group, SRM Model UN Conference, Hindustan Young Leader’s Conference where letters were collected. They also set up a collection box at Sathyam Cinemas (look out for them). You can also scan your letter and mail it to LonePack. “Soon, we will distribute letters at various colleges. Apart from this, we are also tying up with different outlets across the city for distribution like Dhaba Express chain of restaurants, Ciclo café etc. We might also make pit stops at places like Sathyam cinemas and Marina beach,” adds Siddhaarth. How exciting is that! The trio began LonePack in 2016 when Samiya was suffering from depression and other mental health issues. “That was when I read up on the topic and tried to understand it. I had seen a large number of people in my peer group go through similar issues without having anybody to confide to, but was able to give a name to it only later. That’s when the LonePack idea came to me. I spoke to my friends, Naveen and Siddhaarth. We agreed to do something about it when the right time came. But after college, we realised that there is no such thing as the right time. We took the plunge and started our Facebook page in July 2016.” Since then they have been maintaining a blog where SCARF psychiatrist Shiva Prakash posts regularly and have had a campaign called Wall of Positivity — a long way from classroom discussions. 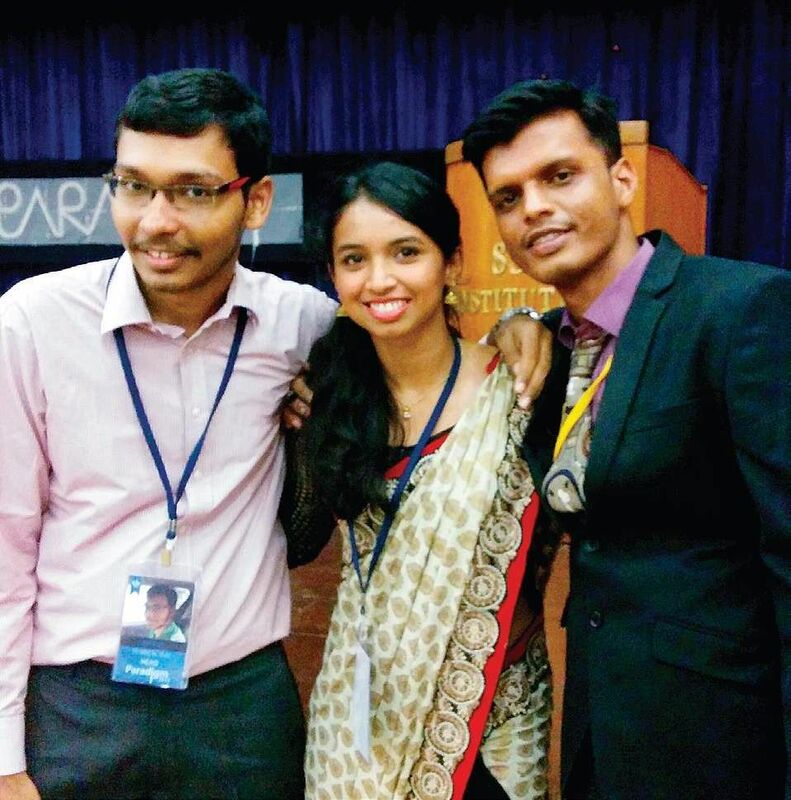 While Naveen works in Chennai, Samiya and Siddhaarth work together in Bengaluru.